We just got back from a wonderful, yet inexpensive vacation at the Wyndham Myrtle Beach resort (Ocean Blvd). The room was $250 per night and flights on Allegiant Air were $150 round trip. $250 might seem expensive, but consider that these are condo’s (timeshares that can be rented) which include a full kitchen, washer and dryer. Not eating out can save you a ton making the room a lot cheaper then you might think! We had booked this trip a few months in advance using their online system, received a confirmation number and scheduled our flights. Upon arrival and to our surprise, we were told the confirmation number didn’t mean anything! We presented our hard-copy of the confirmation but because the staff couldn’t find it in their system, it was worthless! Imagine, months of planning and being told that all the rooms are full and nothing could be done! We did our best to remain cool and encouraged staff to pull a rabbit out of the hat – luck was on our side and a room became unexpectedly available! The front desk told us NEVER to use the Wyndham online reservation system and only schedule over the phone with the hotel. Trust me, if that’s what it takes to avoid a scare like this from happening again, I’ll take that advice! I have a phobia of bed bugs, and found a few references to bed bugs at Wyndham on the web*, so I immediately went on the hunt. 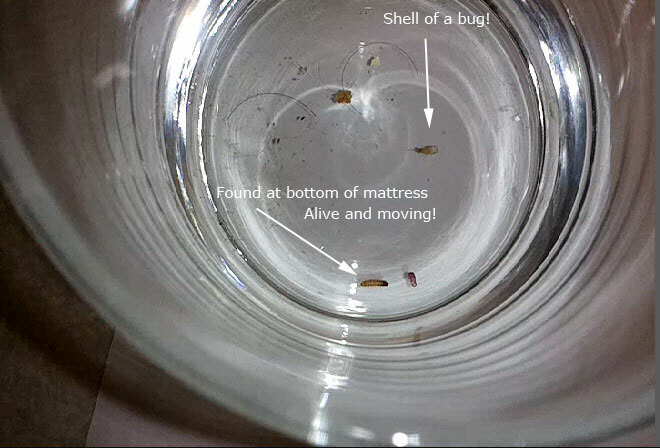 The master bedroom was fine, but the guest bedroom had bug shells and some type of larvae growing between the tag and mattress which I placed in a glass for staff ( between the tab and mattress is one of the popular hiding places for bed bugs). I could not tell for sure if the shells were from bed bugs and not sure what the larvae was, but this was the only place I found bugs, everything else seemed clear. Bed bugs are excellent at sneak attacks! They wait until about 3:00am and follow the carbon dioxide given off by humans as they sleep. Once they’ve traced the CO2 back to the source (you), they inject an anesthetic into the skin and start filling up on blood. With such a large public beach, some people attempt to sneak into the water park resulting in lack of tubes and resources, but not at Wyndham Myrtle Beach. The staff were on top of everything and serious about their job. Visitors were checked for wrist bands before being allowed into the resort and in talking with one of the security guards, about 300 people per day are prevented from sneaking into the resort! Of the resorts I have stayed at, Wyndham Myrtle Beach gets top marks for putting safety first at the pools! Even in the 90 degree heat, staff stayed alert and maintained a family friendly attitude! Time shares are expensive and their point system can be tricky! What is promised today can change tomorrow depending on the contract, such as paying $129 for a visitor, maintenance fees, point expiration and more. What a lot of people don’t realize is that you don’t need to spend $45,000 on a time share to enjoy two weeks at a resort! Timeshares promise VIP owners the ability to rent their space if they can’t use it themselves, so they NEED renters! What that means for people like you and I, is that we can simply call up the resort, book a room and pay a fee just as you would a hotel room. There is one catch, and that’s the staff’s approach to getting you to buy a timeshare when you’re there. In our case, as in the past, a staff person with a big smile asks how your vacation is going and offers you free vouchers to local shows, dinner or attractions such as Disney. All they ask is that you and your wife (both must attend) let them show you one of their deluxe rooms and that is when you say “No Thanks” and end the conversation. Should you go to one of these demos, you’ll be bombarded by high pressure sales tactics proven to change your mind. They’ll dive deep into your mind and find that which can be used to push you into signing the contact – it’s what they specialize in and years of refinement have made them experts! I knew one person who actually looked forward to these mind games and would come out with free or highly discounted rent – something I don’t recommend trying! Wyndham resorts are some of the best resorts around and your family will love you for it, but don’t fall for the timeshare sales pitch! Call them up and rent. When you get there, watch for the sales staff bearing free gifts and a big smile, refuse the gifts and you’ll be fine the rest of the vacation! Also, don’t forget to check for bed bugs BEFORE you spend your first night! (check bed bug complaints online at badbedbugs.com and physically search when you get there!). I discounted #1 due to age, discounted #2 because it didn’t mention bed bugs specifically, and completely disregarded #3 because of the site the complaint was posted on. If you want to check on hotel bed bugs, then visit www.badbedbugs.com/hotel-bedbugs/ for a honest review without hotel bashing! You have to consider there are thousands of people going through Wyndham Myrtle Beach yearly and it’s impossible to prevent bugs. 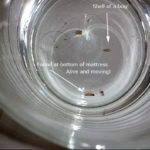 It’s not what the hotel prevents, but how they react to bed bug reports and how fast they exterminate that’s important! Disclaimer: The views I express are my opinion and my opinion only based on my personal experience and are in no way intended to represent fact.